It might not occupy quite the same place in popular culture as its American cousin, but Coventry, the UK’s ‘motor city,’ can still be hugely proud of its automotive heritage and continued manufacturing capability. 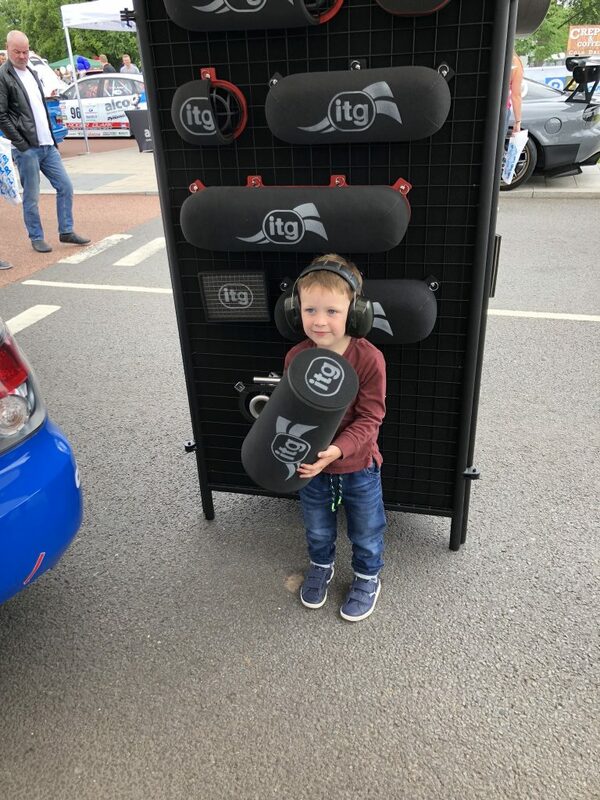 It was therefore only fitting that ITG, based locally and very much part of Coventry’s thriving automotive industry, took part in MotoFest, the city’s celebration of all things wheeled and powered by an internal combustion engine. Now in its second year, MotoFest aims to celebrate not merely the city’s sizable automotive history but also its current capabilities and increasingly bright future, hence why it was impossible to walk more than a few hundred metres without bumping into a Jaguar, a Land Rover or some glistening Midlands classic. 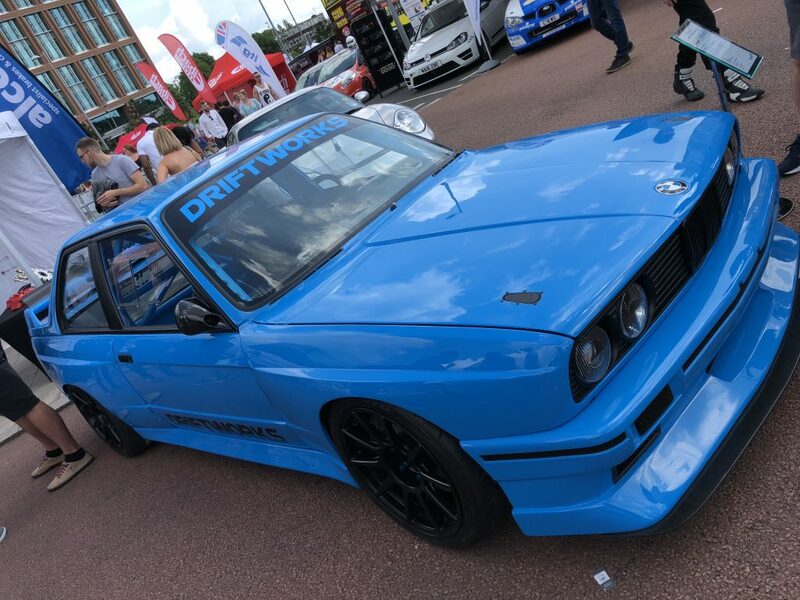 It proved enough of a draw to pull in tends of thousands of passionate car fans, many of them based locally, some employed by Coventry’s automotive industry. We were on hand with an expansive trade stand complete with key products from the ITG range, not to mention examples of our Profilters, Maxogen filters and Megaflow filters. It goes without saying that there’s simply no substitute for being able to look at, hold and feel these products before you buy and fit them, particularly if the application in question is of a more specialised, motorsport-focussed nature. Our friends and dealers were also on hand, with both Racingline and AET Motorsport being a good example. 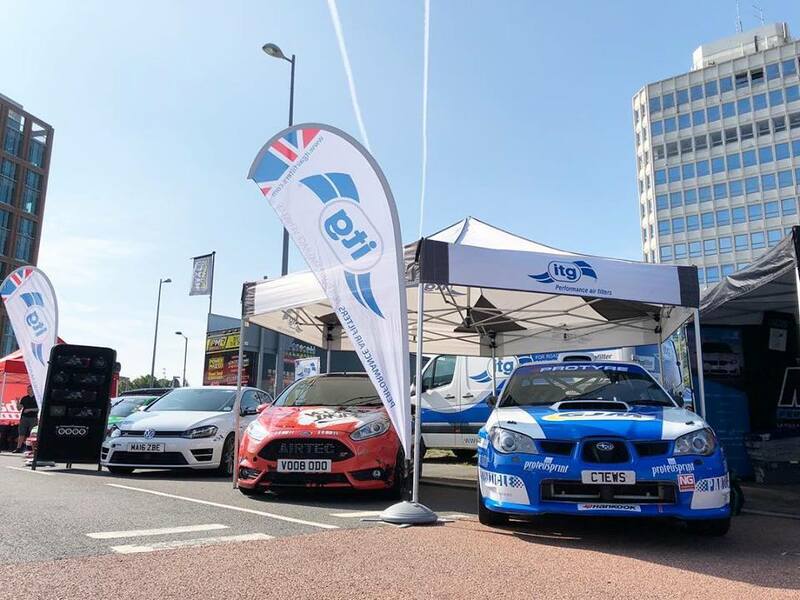 The latter’s Fiesta ST, sporting one of our own Maxogen Induction Systems of course, drew a crowd of interested fast Ford owners, while the ITG Subaru Impreza (driven in the MSA Asphalt Championship by our own Richard Clews) proved just as popular. Far from a mere static show, MotoFest boasted a live motorsport element, one our very own Richard Clews was only too happy to partake in! He could be found undertaking several runs on the show’s tricky time trial course, getting to grips with a 400bhp+ Mk7 Golf R in the process. Motorsport continues to be a key aspect, both of ITG and Coventry, hence why there were a number of high profile race and rally teams in attendance. Our attention was focussed on the Power Maxed Racing stand, the BTCC front-runners basking in the attention drawn by both their range and their Vauxhall Astra K touring cars. Power Maxed is one of several BTCC teams running ITG hardware in 2018, proving that our induction expertise can hold its own in one of the most competitive touring car championships in the world. 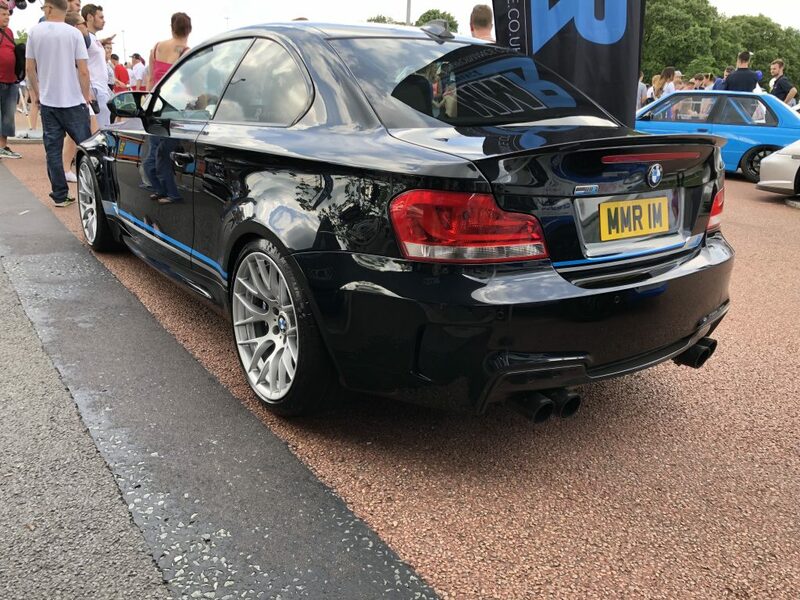 An immensely successful weekend for all involved, MotoFest was the perfect way to celebrate Coventry’s stunning contribution to the automotive industry, and one we we’re proud to both support and be a part of. Here’s to MotoFest 2019!